You are here: Home / All Freebies / Fern Smith’s Mouselike Flash Cards! One card will have 10 X 6 = 60, 60 / 10 = 6, etc. This little craft will also work for addition and subtraction! Your students will ♥love♥ it, it is a terrific “time filler” when you have a minute or two before you line up to go somewhere! I’m Fern Smith, my school’s Teacher of the Year and 3rd Grade Team Leader. If you haven’t been to my blog, I would ♥love♥ for you to drop by and follow me! 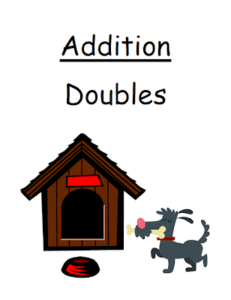 Fern Smith’s Math Center Game Addition Doubles Concept! Fern Smith’s Free Addition Doubles Center Game! Fern Smith’s FREE Addition Owl-ways Have Time for Math! So cute! Do stores still carry these? I had gotten a bunch in February to work on colors, but have checked a few Home Depots in the area and they all seem to have discontinued these. I was really hoping to get some more! We still have them in North Florida. How about Lowes maybe?